A shadow is cast over Aberdeen, as one of the most prosperous cities in the UK now bears witness to queues outside the door at food banks, formed virtually overnight. The oil industry has been shaken to its foundations and the crisis shows no sign of abating anytime soon. The price of Brent crude oil plummeted at one point this year to less than $30 a barrel – that’s a 70 per cent price drop in only 18 months. To put this figure into perspective, a decade ago, $90 to $100 a barrel was considered normal. News of the latest raft of job losses came this week, when Shell announced decimated annual profits of 80 per cent, and added that they plan to shed 10,000 jobs globally. Another major oil company, BP, also announced its intention to axe 7,000 jobs this week, after posting an annual loss of £4.5bn – the worst performance in its entire history. These job losses are neither the end nor the beginning. It’s been estimated that an astounding 70,000 oil-related jobs in the UK have gone since the slump in oil prices in January 2015, a figure which could nearly treble by the time oil prices start to climb again – that’s half the entire UK oil workforce. Oil has always had cyclical periods of “boom and bust” but industry experts say that the downturn in prices may persist far longer than anything we’ve ever seen. Still, an analysis by industry certification body DNV GL showed the impact of the downturn on employment has hit the North Sea the hardest. DNV GL oil and gas regional director for the UK Hari Vamadevan warned that oil companies aren’t learning the lessons from past boom and bust cycles, when the industry axed jobs to cut costs during a downturn but ultimately paid dearly afterwards with a protracted skills gap. “As an industry, we have taken quick, cost-cutting action, which has been particularly apparent through a raft of major job cuts over the past 12 months, and further short-term measures are expected, despite concerns over the skills drain,” Vamadevan said. This is precisely why Unite has argued against slashing jobs in the North Sea – by oil companies attempting to weather a temporary, if lengthy economic downturn through vicious cost-cutting measures, the damage could very well become permanent. Campbell noted that one of the ways in which skills can be retained is by job sharing instead of all-out job cuts. For those still lucky enough to have their jobs, offshore workers face decimated terms and conditions as their employers rush to cut costs and appease shareholders – and it could very well be risking workers’ lives. As oil companies seek to be as efficient as possible, cutting every possible corner means health and safety, too, is placed on the backburner. Oil companies are trying to make do with less during the downturn, so many of them have switched to what’s called a 3/3 rota. Oil workers are forced to work for three weeks straight on twelve-hour shifts each day, followed by a three-week break. But Campbell explained that this shift pattern is unsustainable – and extremely dangerous. “The workforce is absolutely knackered,” he noted. “And even a 3/3 rota is often not adhered to. Sometimes you’ll have a chopper facing delays in picking up offshore workers at the end of the third week because of poor weather conditions. “Workers can agree to not work after their shift is over but of course employers encourage them to do so. Let’s not forget, too, that many of these workers aren’t young – they’ve been in the industry for 25 or 30 years. The situation may seem helpless, but as with the foundering steel industry, that doesn’t mean nothing can be done. Unite, along with other offshore trade unions, have banded together to seek immediate solutions that will not only stem growing job losses but ensure that there is a future for oil. 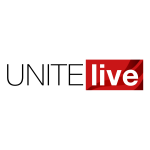 On Monday (February 8), Unite, the largest offshore trade union, will join the RMT, the GMB, Balpa, and Nautilus in a Scottish TUC-coordinated press conference to speak as one voice representing hundreds of thousands of oil workers. “This conference is a loud and clear signal that we as a whole are working as one to show that we acknowledge the crisis in the oil industry and that we need to urgently come up with a plan,” explained Rafferty. “And at the forefront of this plan is protecting jobs and terms and conditions as well as standing strong on health and safety standards,” he said. Rafferty also last week called for an urgent summit, with the aim of bringing together all interested parties, including industry, the Scottish and Westminster governments, as well as trade unions. At the same time, Rafferty emphasised, any measure that’s called for must “be for the protection of the workforce and not to prop up oil companies’ profit margins”. Unite assistant general secretary Tony Burke echoed the urgent need for a summit, similar to a summit held in October to address the crisis in steel. “That’s the aim of the press conference on Monday — for all the trade unions to speak as one in order unite and protect the workforce at this moment of crisis. Stay tuned on UNITElive for updates after the offshore trade unions press conference on Monday.